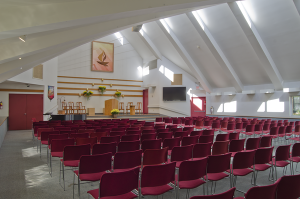 The Unitarian Universalist Fellowship of Huntington (UUFH) is available for Baby Dedications, Wedding and Commitment Ceremonies, Receptions, Memorial Services, meetings and parties. The building has the charm and grace of a 100 year old Gold Coast Mansion, plus updated amenities such as central air conditioning. Please call (631) 427-9547 for availability and details. Please click here for a Google Virtual Tour. 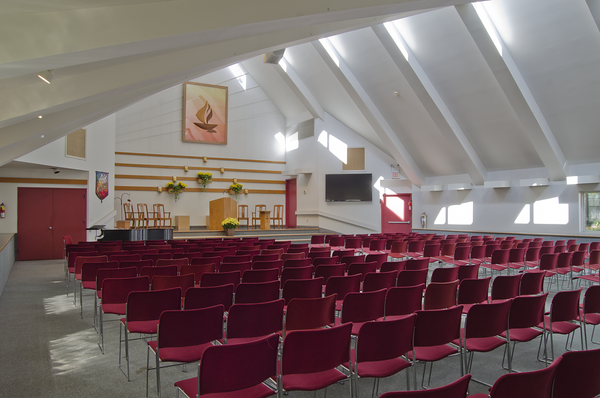 Featuring a vaulted ceiling with skylights, the Main Hall is the largest room at the Fellowship. Windows on both sides of the room add to an open, airy feeling during the day, and artfully placed lighting adds to the ambiance in the evening. 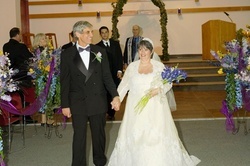 The raised platform can serve as a dais for ceremonies, or a stage for performances or a band. Audio equipment and a grand piano are available for rental. Measuring 62’ x 42’, the room is rated for occupancy of up to 285. 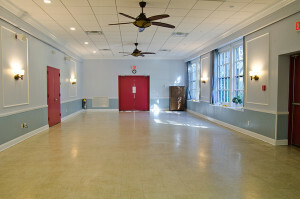 Somewhat smaller than the Main Hall (22’ x 42’), the Social Hall is a popular space for parties, luncheons and meetings. The adjacent kitchen makes this a convenient spot for buffet service, as well as sit-down affairs. This open space is well suited to playgroups, or dance and exercise classes. 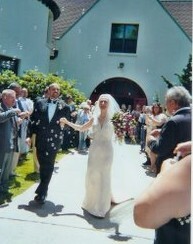 Weddings, receptions, company picnics, fairs and may be held outdoors too! 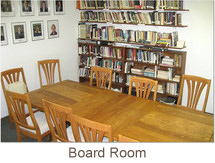 Several comfortable spaces for business meetings, music lessons, tutoring and more are available. 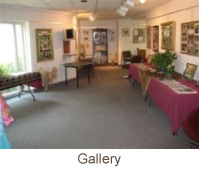 Rooms vary in size and furnishings, from tables and chairs, to casual sofas. Please contact the Fellowship office for rates and availability. Fees to members are discounted. All rentals include use of tables and chairs.